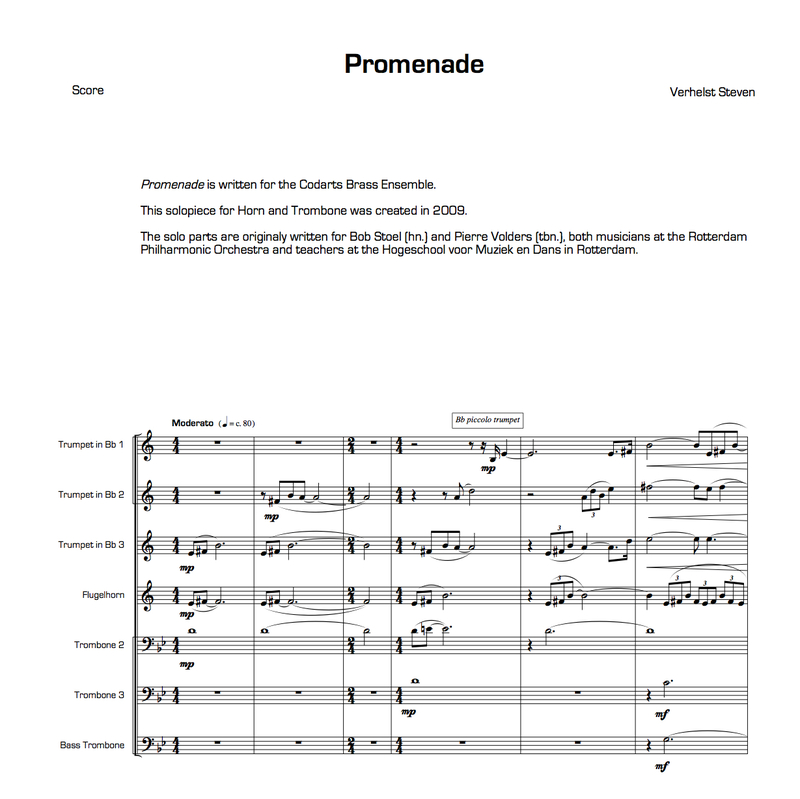 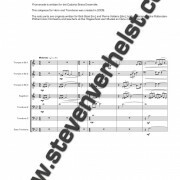 Promenade was composed for the Codarts Brass Ensemble. 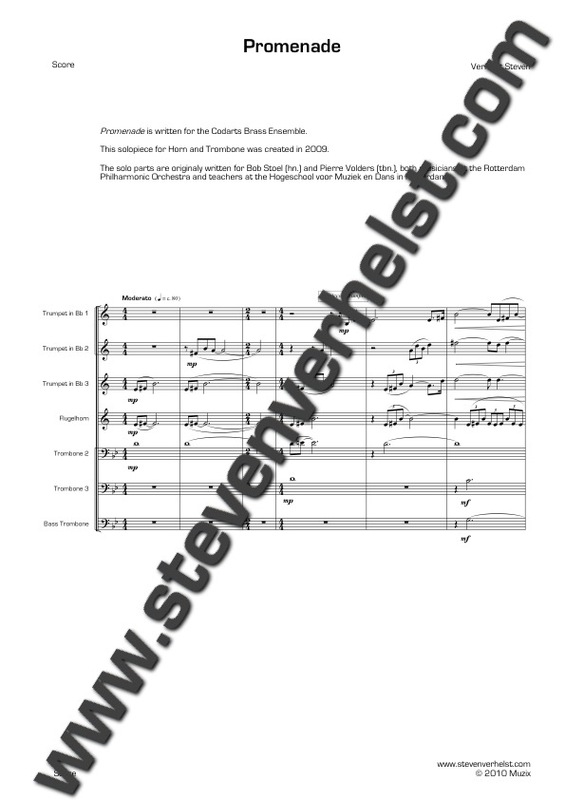 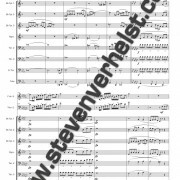 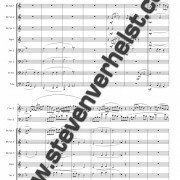 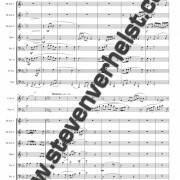 This solo piece for Horn and Trombone was created in 2009. 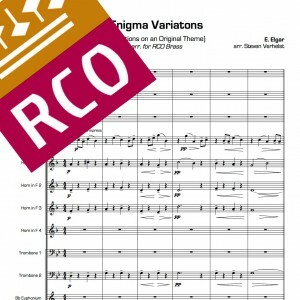 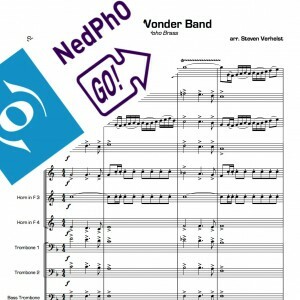 The solo parts are originally written for Bob Stoel (Horn) and Pierre Volders (Trombone), both soloists of the Rotterdam Philharmonic Orchestra and teachers at the Hogeschool voor Muziek en Dans in Rotterdam. 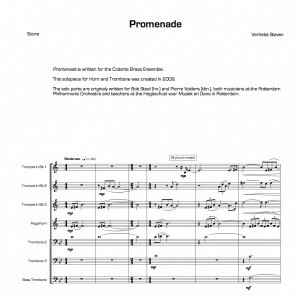 Promenade has a typical Concerto Grosso form.